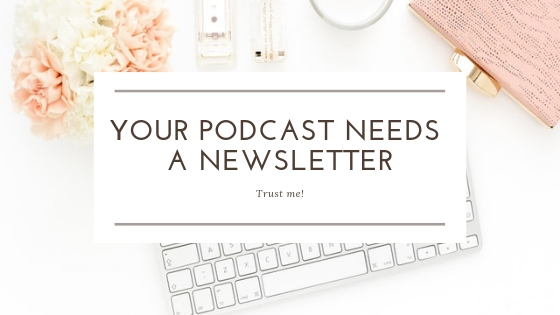 I think each podcast needs a newsletter. Why? You always want your audience to know what’s happening in your pod world and with your show. When people give you their email, you can be sure they want to hear from you and support you. What really prompted this post was the “dark day” when I couldn’t post to my IG account (www.instagram.com/the_podcast_maven) and I was totally locked out from FB. I could see other people’s posts on IG but I couldn’t log in to my account, it was annoying. I run an online business this is how people find out about me and what I do. No matter how small your list it’s important to keep in contact with people who have asked for your content. What’s coming up in your show. Can you link to content that they can only access if they are on your list? You can also include snapshots from your life if that’s appropriate when I post pictures of my dog she gets far more likes than I do!!! Don’t just use as an opportunity to promo and run think of it as another thread of the conversation. One that you have real control over. 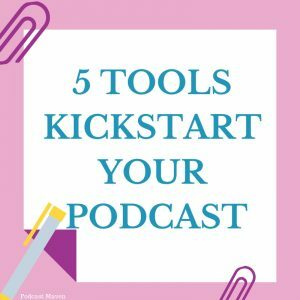 Launching a podcast is hard, but so worth the effort, to make the process easier here are 5 tools to kickstart your podcast. Headliner. This app will help you create short shareable audio clips with picture backgrounds that you can share on social media to promote your show. Tip: Send a different audio clip to your guest and ask them to share it widely to promote their episode. Auphonic. New podcasters often do everything themselves. Your audio doesn’t have to be perfect and this app will help you “even your sound out”. The first 2 hours are free, I think and their pricing is fair. Canva. If you want to make excellent graphics but have the artistic ability of a one-year-old who eats crayons, this is the website for you. 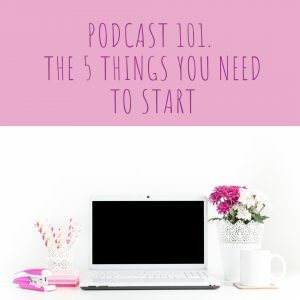 You will find templates that are sized for most social media platforms so that you can create social posts to go with your episodes. You can also put in your own dimensions, a lot of people create their cover podcast cover art with Canva. Temi A transcript can help with the discoverability of your podcast. This service is automated and produces a “good enough” transcript of your podcast, for a good price. You will need to go back in a do minor corrections but it’s budget-friendly and easy to use. Tip: Use the transcript to look for quotes to use in your social posts for the episode. Speakpipe: I love this app! This app allows people to leave you a short and sweet voice message. You are using the medium of audio to reach your audience, let them contact you in the same way. You will get an email notification when you have received a voicemail. Tip: Ask for your listeners to leave you a voice note with feedback, tips and questions. Also ask them to leave their name!! Send them a shout-out in your next episode. Use their name. Make it personal. Make use of the medium that people prefer to use. What apps make your podcasting life easier? Let me know. Please do not record without wearing a pair of headphones. Always wear headphones when you record your podcast. Yes, it’s important for sound quality, feedback is a bugger to deal with in post-production. That’s it. Before you say it, yes there is a way to do stuff on your phone or iPad but I’m talking about the easiest way and the quickest way for you to feel comfortable and learn. So whether you have a PC or Mac. Connect your gear. Make sure your computer is picking up your microphone. You might need to check your settings. Next is DAWS. Okay, most of these can be put on a Mac or PC. Don’t let the acronym scare you off (techy speak actually irritates me!!) I always recommend Audacity as a good place to start. It’s a solid platform that you can grow with as your skills get better and you gain confidence. I will say I am not a fan of Garageband personally, but if that’s what you have and you are comfortable with it. Go for it!!! Do you have any questions? Are you stuck somewhere between idea and execution? Book a discovery call, I’d love to help you move forward. Your First Podcast Interview – How to be a great guest!!! Has your emailing campaign and outreach paid off? 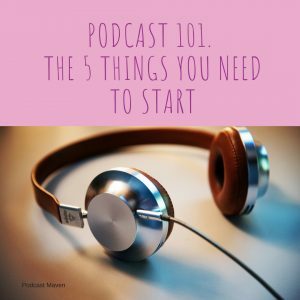 Have you finally booked your first podcast interview? Great!! Where are you going to be when they call you? You hadn’t thought of that? It’s fine, zip through the infographic and learn what you can do to make this as successful as possible. I’m going to let you in on a little secret, just because you record the interview, it doesn’t mean it will be released. What can send your interview to the “not great” pile? Podcasters are protective of their audiences time, so bear in mind that the selection process ends at the end of your interview. If the interview is a dud, it might go into the “didn’t work out pile”. This can have a lot of factors, perhaps there wasn’t a conection between you and the host, perhaps you were in a noisy place, or maybe you didn’t read the prep notes your host sent. I say this alot but please, please, please make sure you are in a quiet place when you are being interviewed. Life happens but your spot at Starbucks during lunchtime is not ideal as there will be a lot of background noise. I could go on for ages (wink, wink) but it’s easier for you to look at the infographic. Questions? Feel free to get in touch.